A parkway was originally a tree-lined curvaceous boulevard. 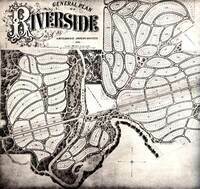 Frederick Law Olmsted made a linear park beside the Des Plaines River , for the suburb of Riverside , and proposed a 'park way to Chicago ' (Newton 1971:467). In 1870, Olmstead designed Eastern Parkway as an approach to Prospect Park (Newton 1971: 596). Later, the term 'parkway' was used to describe a strip of parkland containing a motor road and planned to give the motorist a pleasurable experience. The Blue Ridge Parkway was designed as a two-lane pleasure drive running for 469 miles along the crest of the Appalachians (Searns 1995). The term parkway was also used by Abercrombie in his 1943-4 plan for London . Abercrombie defined parkways as 'the connecting links of the park system' and distinguished several types: linear parks, riverside walks, footpaths in farmland, bridle tracks, green lanes, bicycle tracks, motorways with a park character (Abercrombie 1943:107). Many European countries have tree-lined roads in residential areas which are described as 'parkways'.